Draft: 2007, Toronto Blue Jays, 4th rd. 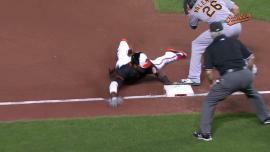 Caleb Joseph flies out to right fielder Josh Reddick. Junior Lake to 3rd. September 22, 2017 Tacoma Rainiers released LHP Brad Mills. April 6, 2017 Tacoma Rainiers placed LHP Brad Mills on the 7-day disabled list. September 20, 2016 Tacoma Rainiers activated LHP Brad Mills from the 7-day disabled list. July 1, 2016 Tacoma Rainiers placed LHP Brad Mills on the 7-day disabled list. May 15, 2016 Tacoma Rainiers activated LHP Brad Mills from the 7-day disabled list. April 7, 2016 LHP Brad Mills assigned to Tacoma Rainiers. 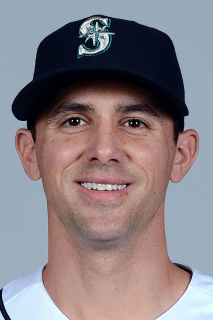 December 17, 2015 Seattle Mariners signed free agent LHP Brad Mills to a minor league contract and invited him to spring training. October 5, 2015 LHP Brad Mills elected free agency. September 1, 2015 Nashville Sounds activated LHP Brad Mills from the temporarily inactive list. August 28, 2015 Nashville Sounds placed LHP Brad Mills on the temporarily inactive list. August 17, 2015 Oakland Athletics sent LHP Brad Mills outright to Nashville Sounds. August 15, 2015 Oakland Athletics designated LHP Brad Mills for assignment. August 14, 2015 Oakland Athletics selected the contract of LHP Brad Mills from Nashville Sounds. April 5, 2015 LHP Brad Mills assigned to Nashville Sounds. October 17, 2014 Oakland Athletics signed free agent LHP Brad Mills to a minor league contract and invited him to spring training. September 29, 2014 LHP Brad Mills elected free agency. August 14, 2014 Toronto Blue Jays sent LHP Brad Mills outright to Buffalo Bisons. August 12, 2014 Toronto Blue Jays designated LHP Brad Mills for assignment. August 11, 2014 Toronto Blue Jays selected the contract of LHP Brad Mills from Buffalo Bisons. July 24, 2014 Toronto Blue Jays sent LHP Brad Mills outright to Buffalo Bisons. July 22, 2014 Toronto Blue Jays designated LHP Brad Mills for assignment. July 18, 2014 Toronto Blue Jays activated LHP Brad Mills. July 17, 2014 Toronto Blue Jays claimed LHP Brad Mills off waivers from Oakland Athletics. 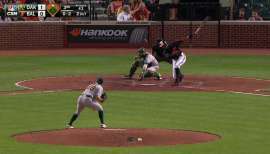 July 7, 2014 Oakland Athletics designated LHP Brad Mills for assignment. June 20, 2014 Oakland Athletics selected the contract of LHP Brad Mills from Sacramento River Cats. June 18, 2014 LHP Brad Mills assigned to Sacramento River Cats. June 17, 2014 Milwaukee Brewers traded LHP Brad Mills to Oakland Athletics for cash. March 1, 2014 Brad Mills assigned to Milwaukee Brewers. January 22, 2014 LHP Brad Mills assigned to Nashville Sounds. January 9, 2014 Milwaukee Brewers signed free agent LHP Brad Mills to a minor league contract. July 18, 2013 Round Rock Express released LHP Brad Mills. May 23, 2013 Round Rock Express activated LHP Brad Mills from the 7-day disabled list. May 15, 2013 Round Rock Express placed LHP Brad Mills on the 7-day disabled list. March 28, 2013 Texas Rangers sent LHP Brad Mills outright to Round Rock Express. March 24, 2013 Texas Rangers claimed Brad Mills off waivers from Los Angeles Angels. October 4, 2012 Los Angeles Angels recalled Brad Mills from Salt Lake Bees. July 14, 2012 Los Angeles Angels optioned Brad Mills to Salt Lake Bees. July 8, 2012 Los Angeles Angels recalled Brad Mills from Salt Lake Bees. June 23, 2012 Brad Mills roster status changed by Salt Lake Bees. 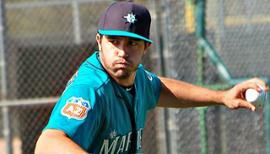 June 20, 2012 sent LHP Brad Mills on a rehab assignment to AZL Angels. April 15, 2012 Los Angeles Angels optioned LHP Brad Mills to Salt Lake Bees. April 14, 2012 Los Angeles Angels recalled Brad Mills from Salt Lake Bees. March 30, 2012 Los Angeles Angels optioned Brad Mills to Salt Lake Bees. December 3, 2011 Toronto Blue Jays traded LHP Brad Mills to Los Angeles Angels for C Jeff Mathis. 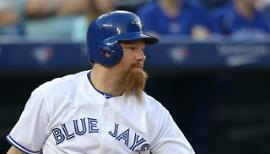 September 6, 2011 Toronto Blue Jays recalled Brad Mills from Las Vegas 51s. August 18, 2011 Toronto Blue Jays optioned Brad Mills to Las Vegas 51s. July 27, 2011 Toronto Blue Jays recalled Brad Mills from Las Vegas 51s. April 14, 2011 Toronto Blue Jays optioned Brad Mills to Las Vegas 51s. April 12, 2011 Toronto Blue Jays recalled Brad Mills from Las Vegas 51s. March 11, 2011 Toronto Blue Jays optioned Brad Mills to Las Vegas 51s. September 10, 2010 Toronto Blue Jays recalled Brad Mills from Las Vegas 51s. August 13, 2010 Toronto Blue Jays optioned Brad Mills to Las Vegas 51s. August 7, 2010 Toronto Blue Jays recalled Brad Mills from Las Vegas 51s. August 6, 2010 Brad Mills assigned to Las Vegas 51s. July 29, 2010 Toronto Blue Jays optioned LHP Brad Mills to Las Vegas 51s. July 28, 2010 Toronto Blue Jays recalled Brad Mills from Las Vegas 51s. July 15, 2010 Brad Mills roster status changed by Las Vegas 51s. July 7, 2010 Las Vegas 51s placed LHP Brad Mills on the temporarily inactive list. July 6, 2010 Las Vegas 51s activated LHP Brad Mills from the 7-day disabled list. June 13, 2010 Las Vegas 51s placed LHP Brad Mills on the 7-day disabled list. March 12, 2010 Toronto Blue Jays optioned LHP Brad Mills to Las Vegas 51s. October 19, 2009 Brad Mills roster status changed by Toronto Blue Jays. July 9, 2009 Brad Mills roster status changed by Las Vegas 51s. June 28, 2009 Toronto Blue Jays optioned LHP Brad Mills to Las Vegas 51s. June 17, 2009 Toronto Blue Jays selected the contract of Brad Mills from Las Vegas 51s.